We have professionals that can clean up & sanitize at your Los Angeles home or building. Need new insulation? We can do that too. This saves you time & money. We can help with protecting your Los Angeles property against future bee invaders. We use the latest techniques available & do all is at a great cost too. Los Angeles Bee Removal. 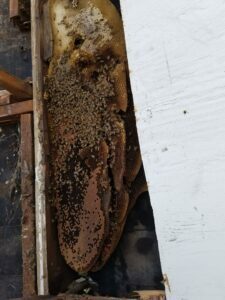 Getting rid of bees from the attic, walls, or yard is NO challenge for our Los Angeles experts. Most people in Los Angeles call us because they have bees in their attic or have heard buzzing noises in the walls? Urban Wildlife Trapping Experts can help you with All Bee Removals, Clean Ups, and Prevention Services in Los Angeles County. Cities We Service for Bee Removal in Los Angeles County: Agoura Hills, Alhambra, Altadena, Arcadia, Artesia, Azusa, Baldwin Park, Bel Air, Bell, Bell Gardens, Bellflower, Belmont Heights, Beverly Glen, Beverly Hills, Bradbury, Brentwood, Burbank, Calabasas, Canoga Park, Carson, Cerritos, Chatsworth, Cheviot Hills, Claremont, Commerce, Compton, Covina, Cudahy, Culver City, Diamond Bar, Downey, Duarte, Eagle Rock, El Monte, El Segundo, Gardena, Glendale, Glendora, Granada Hills, Hawaiian Gardens, Hawthorne, Hermosa Beach, Hidden Hills, Huntington Park, Hyde Park, Industry, Inglewood, Irwindale, La Cañada Flintridge, La Crescenta-Montrose, La Habra Heights, La Mirada, La Puente, La Verne, Lake Balboa, Lake View Terrace, Lakewood, Lawndale, Lomita , Long Beach, Los Angeles Animal Removal, Lynwood, Malibu, Manhattan Beach, Maywood, Monrovia, Montebello, Monterey Park, Norwalk, Pacific Palisades, Palmdale, Palos Verdes Estates, Paramount, Pasadena, Pico Rivera, Pomona, Porter Ranch, Rancho Palos Verdes, Redondo Beach, Reseda, Riviera, Rolling Hills, Rolling Hills Estates, Rosemead, San Dimas, San Fernando, San Gabriel, San Marino, Temple City, Torrance, Tujunga, Van Nuys, Valley Glen, Valley Village, Venice, Venice Beach, Vernon, Walnut, Watts, West Covina, Westgate, West Hills, West Hollywood, Westlake Village, Whittier, Wilmington, Winnetka, San Pedro, Santa Clarita, Santa Fe Springs, Santa Monica, Sawtelle, Sherman Oaks, Sierra Madre, Signal Hill, South El Monte, South Gate, South Pasadena, Sunland, Sylmar. If you live in or near any of the cities I have listed, Please Call Us Now 310-528-9229 for Affordable Prices! on Bee Control Services. Yes, bees can become a pest. Tired of dealing with bees? If that is you, then my bee control company in Los Angeles can help solve your bee problems for good. We have the experience and know how to make your property free of bees. Our experts only using smart, humane and efficient methods that will get rid of your bee issues. Los Angeles bee removal requires qualified and knowledgeable Los Angeles bee experts. 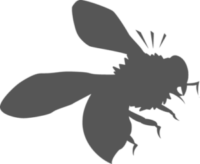 If you own a home or business and have bee problem, then you can rely on our Los Angeles bee removal experts. Urban Wildlife Trapping Experts strives to deliver the best in quality for bee removal services. We offer low-cost bee control services, and tips for bee prevention for Los Angeles customers. We can and will beat any local price quote on bee removal in Los Angeles County. If you hear bees noises in your attic or walls, please don't hesitate to call us at 1-844-698-7277. While many people in Los Angeles enjoy feeding, seeing and living near wildlife, there are times when bees may come too close and create a nuisance. Los Angeles bees can cause home and property damage or inflict injury on livestock, pets or people. We witness daily on how bees can build hives in yards, soffits, vents, screens and wiring seeking shelter in the structure of your L.A. home or building. Bees can also cause millions of dollars worth of damages to property owners nationwide. We know from firsthand experience that bees do significant damage to properties in Los Angeles. Call Us Today! For Bee Removal Services in Los Angeles. Bee prevention is probably one of the most valuable services you should get done. Bees cause damages to your home seeking shelter or trying to nest. We do a thoroughly Inspection of your Los Angeles property to identify all entry/exit points. Our experts can seal up any entry/exit points caused by the bee in Los Angeles, CA. Exclusion repairs will help you for further prevention of bees. We only use high-grade materials to complete every entry/exit point repair. It is standard all our technicians carry these materials. Prices can vary due to the damage and that every home will not be the same as yours. Bees love the city life and the food source we provide. They can find food just about anywhere in the city. Your home is the best place for bees to nest and find food. We recommend working on exclusion work to prevent all these from happening, but will not stop them from coming to your yard. Bees adapt to most situations. They love to travel and explore without being disturbed. A business is a perfect area since most businesses close after a certain time. Unattended to build their hive on the most convenient part of the building. They can also access into your business without you knowing. A full inspection is the best response, addressing anything and everything bee problems.